Cable chains are the simplest and most commonly used jewelry chains. 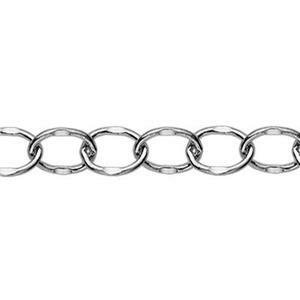 The larger, uniform links on this chain are dapped to provide an extra reflective surface. The dapped portions catch the light and add extra sparkle. This bulk jewlery chain is made in the USA.